It’s time to Light Up Your Life! You know there is something bigger calling to you, calling you towards something that feels more like you - even if you don’t know what that is yet. But it's driving you to keep becoming the best you that YOU can be. Maybe you’ve tried to follow your guidance before, without really knowing what it was asking of you and feeling like you got it wrong, or that the guidance took you to some place you didn’t want to end up. Trust Me, I've been there myself. Life is an adventure. But I am here to help you follow the light! Often, as we begin to open to the higher guidance available to us, it can feel abstract or really confusing. You might wonder is it really your intuition or fear or even wishful thinking? How do you know it’s really guidance and what on Earth does it mean? Maybe you wonder if this guidance is even available to you at all…. It is, and it’s far easier to work with than you might think. Join me by checking out my various Vlogs covering topics that, if you've read this far, will be a HUGE help to you. As you begin to follow that inner call, it may feel like you’re bumping around in the dark, like you’re haphazardly jumping from decision to decision, feeling guided to something with no real idea of what. It can feel clunky, disheartening, and confusing. But the YOUniverse has a plan. It’s not as random as you think! And you needn’t feel more confused than you were before. The guidance you’re receiving is actually intricately linked with your Soul Path. Those feelings of importance, familiarity, and nostalgia are your signs. When you understand how you’re being guided, what that guidance is really asking of you, and indeed where it is leading you, it becomes less haphazard and far more clear on what it all means. You start to make connections, understand the greater timing and direction your life is taking, and sink deeper into the truth of who you are... This is all part of the transformation. Join me for a session, workshop, or invest in one of my programs. Are you hosting an event focused on empowerment or spiritual growth? 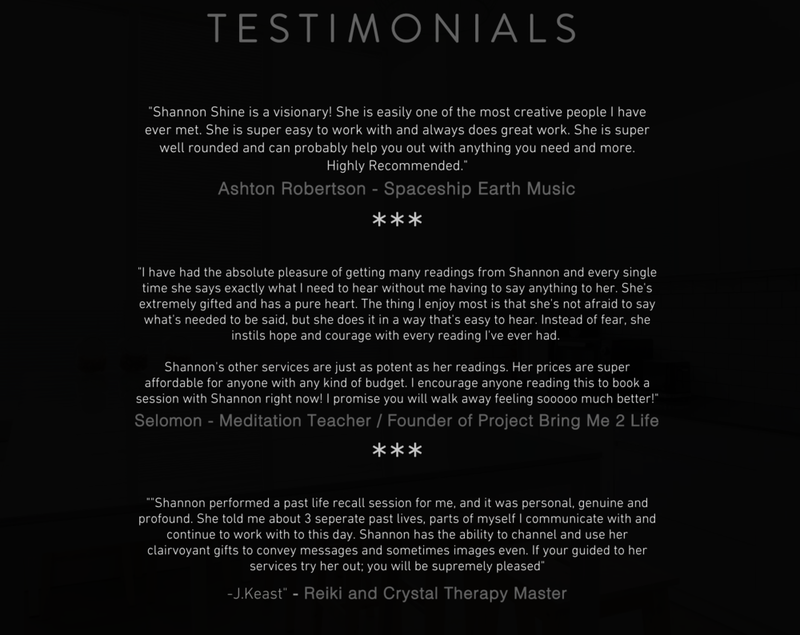 Please consider booking me to speak for your next fundraiser or event and join me in the transformational journey to Light Up Your Life! Everyone is unique in their needs, desires, and learning abilities. For this reason, each coaching program is intuitively curated to fit the individual. This is a journey I’ve dedicated my life to learning and growing with. I’ve took the long way. Full of twists and turns, ups and downs, start ups, closures, and dead ends-so that you don’t have to. I have put in the time and learned many lessons on the way! And I’m here to be your personal tour guide on this path. I charge $111 for a 90 minute coaching consultation. On this call we dive deep and reveal the truth about where you are, where you want to be and how to begin moving in that direction. If we both feel drawn to working together, at the end of the call we will discuss the details of the best match of my coaching packages and pricing options.